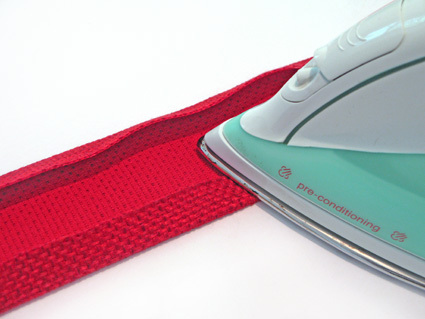 remembering to add 2 cm ( 3/4 in ) seam allowance. 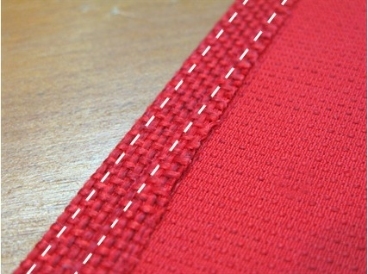 Then use a sewing machine to sew a double line of stitches as shown by the dotted lines in the picture on the left. 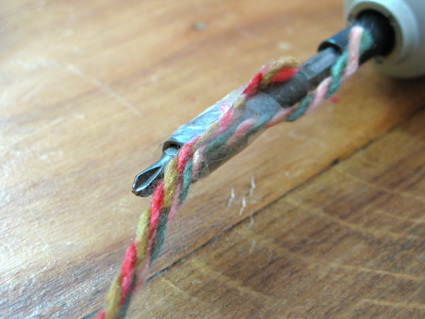 Tape the other end of the yarns to the tip of an electric drill or screwdriver. the yarn until the cord begins to twist back on itself. 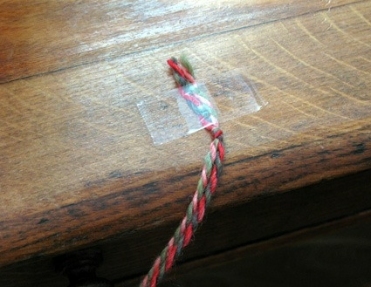 Even out the cord and knot at one end to prevent it from untwisting. 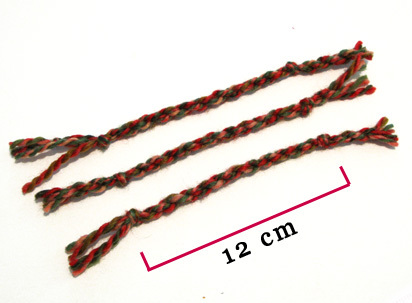 From this long cord make 3 x smaller cords each 12 cm (4.75 inch) long and secured at each end with a knot. Next lay the Back piece face down so that the wrong side of the folded hem is facing upwards. 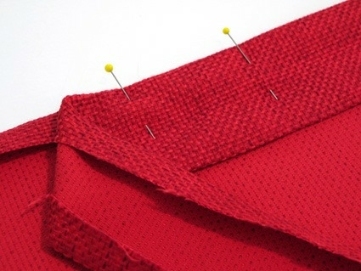 Make sure the folds are matched at the opening edges then pin in place. 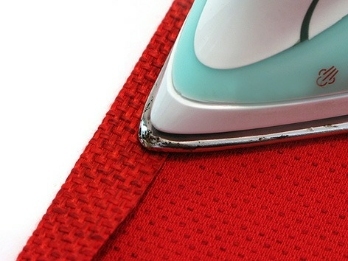 Pin the opposite edge of the Facing in place to the Back to secure. 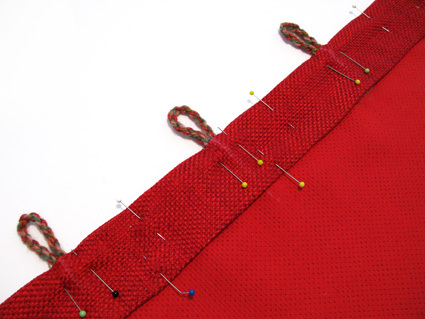 Sew a double row of stitches along the opening edge to secure the loops in place then sew the other side of the Facing in place. so that the right sides are matched and there is a 10 cm ( 4 inch ) overlap at the centre opening. in place to match the position of the loops. 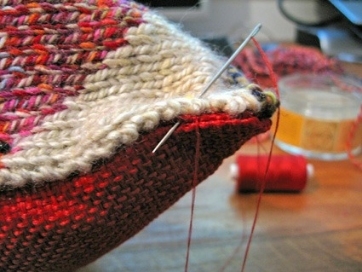 nice and full then hand sew the knitted piece in place.